The holidays are just around the corner. Still looking for the perfect gift for you and your loved ones? This season, give the gift of sewing! While you are working on your Holiday sew-wish list, BERNINA is pricing machines and accessories for the Holidays! Click on the Special Offers and Holiday Catalog tabs on our BERNINA USA facebook wall to learn more. You can also visit our BERNINA USA website to see all our Holiday goodies. 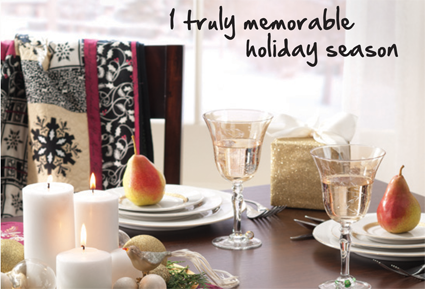 From November 19 through January 2, you‘ll find great deals at your BERNINA store. So what are you waiting for? Print out the coupons, bundle up and hurry in to your BERNINA store in your area and make it one truly memorable Holiday season. Happy Shopping!